there's a lot you can do with ableton live - sometimes, having too many options packed into a program can be a detriment. it's easy to form a bad habit with some of these early on in learning production & just never let go of them. there are exceptions to these, of course, but here are 10 things you should probably never do while producing in live. It’s tempting to reach for the volume fader of a track when you want to automate the volume levels of an audio track. when you do this, however, you "lock in" your fader & you won't be able to rebalance the overall level of the track or lose the automation envelopes you wrote in. it's best to automate the gain of a utility device, for example, & leave the fader free for top-level mixing across all of your tracks. you can read about alternatives to fader automation in live in this older blog post of mine. the stock audio devices in live are fantastic, but for many of them the default preset that loads in doesn’t make a tremendous amount of sense. you can actually save a lot of time by adjusting these to better fit your workflow, & I’ve made suggestions for every one of them to help you get started! 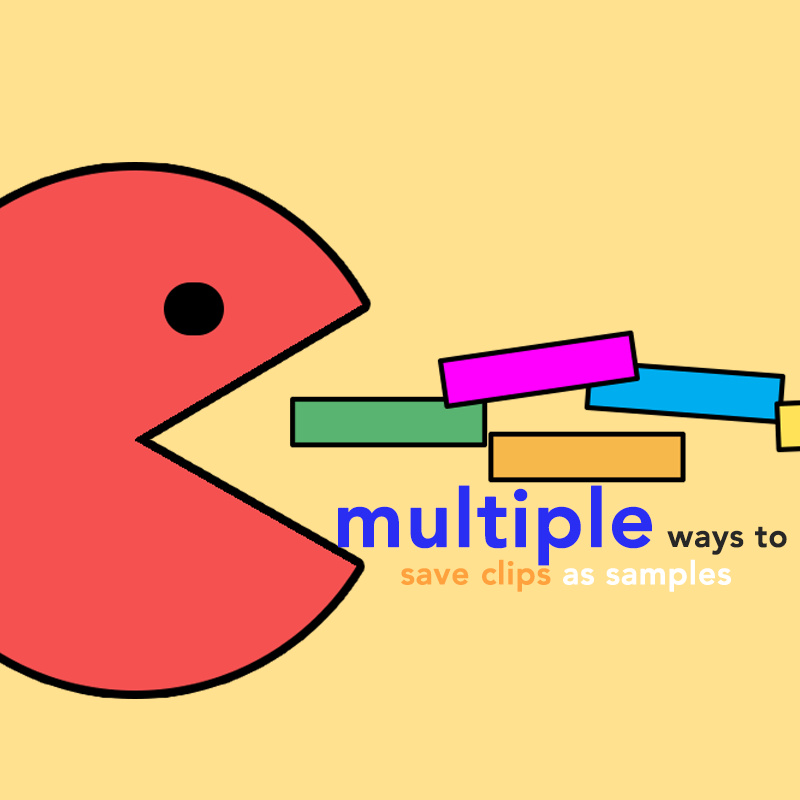 there’s a good chance your project is going to take advantage of sampling. as you grab samples from your libraries, downloads, & other projects, it will become more & more important to collect all & save your project to ensure you don’t lose any of your sounds. this is especially important if you plan on moving the project to a different system in a collaboration. after a quick collect all & save, all of the files referenced in your project will move into the appropriate project folder. whenever I get a track a new song to mix, I almost always have to start by naming & organizing all of the tracks. it’s easy to get caught up in the creative process while you’re feeling inspired, but as songs grow in the near-unlimited arena of digital daws like ableton live, it's especially important to label so as to not get lost. the next person that opens up your project (be that your mixer, collaborator, or future self) will thank you many times over for keeping your projects organized. don't forget that # will update to the ordered number a track currently sits in. There’s no reason to ever have difficulty with what your doing. I've seen producers struggle for several seconds to get the clip selection just right or an eq precise when they could start with a simple zoom or device expansion. get used to incorporating this into your workflow & you'll have a lot fewer frustrations & struggles down the line. More often than not, eq is best applied in subtle doses. because live’s eq is packed into such a small space & has a whopping 15 dB gain range, it's extremely sensitive & really easy to overdo it. keep in mind there's a handy "scale" value in the bottom right corner that can help bring all of your eq's curve back down to a reasonable level if things get out of hand. check out "8 things you didn't know about eq8" for more eq tips! as a digital system, live offers a lot of visual feedback for today’s music producers. these can be helpful for identifying problems, of course, but there’s a danger in becoming over-reliant on your eyes when what matters is your ears. develop a habit of looking away from your screen when listening back to a track or turning off spectrums when tweaking frequencies & you may find your sound improve considerably & immediately. much has been made of gain staging & it was especially important in the old days of analog hardware. somehow, in the digital world & convenience of float, the principle seems to be ignored by a lot of new producers but it remains critical. essentially, you want to preserve headroom in every device of your chain, not just what comes out the end of it. live conveniently provides meters at the end of every device so you'll be able to monitor any issues whenever you look through the device page. there’s really no reason to ever feel confused in ableton live. it's ok to not know about how to do something or what a feature does, but the most important thing is admitting that to yourself & taking the time to figure it out then-&-there. shift+? will bring up info view, & this will explain anything you hover over in live. what's more, you have google, & www.patches.zone as references! if you take care to learn about things you aren't sure about as they come up, one at a time, you'll master the program in no time. that's it for the 10 dont's! disagree with something on the list? want to add your own? let me know via twitter!